It was against Chelsea on Boxing Day of 2011 that Fulham boss Martin Jol first decided to deploy Mousa Dembele in the heart of midfield, a decision that would alter the then striker’s very being. His performance against the Blues bubbled with promise and would trigger his transition from unreliable frontman to dependable midfield orchestrator. 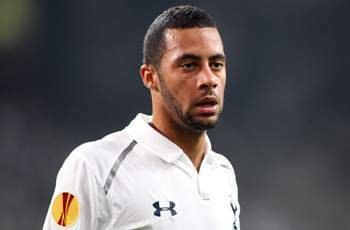 Dembele won four tackles and 13 various other challenges that day – the most of any player – and his use of the ball was considered and precise, completing 39 passes with 91 per cent accuracy. He also displayed his dribbling prowess, exploding forward with the ball from deep and gliding past players as if they weren’t there. From an inconsistent striker flittering in and out of matches, unable to find the back of the net on a regular basis, Dembele’s more withdrawn role saw him develop into Fulham’s best player almost overnight. He controlled matches, dominated midfields, and quickly drew attention from the biggest clubs in the league, and even Real Madrid. And so he moved to Tottenham for £15 million in the summer – a fee that would have been unimaginable for a hot-and-cold striker that had struck just four times in the Premier League before his redeployment in midfield. His task at Spurs was monumental: fill the void left by Luka Modric. It took only 23 minutes for the White Hart Lane crowd to realise that Dembele was an entirely different type of player to his Croatian predecessor. Coming on at half-time in his debut against Norwich, the Belgian picked up the ball, drove forward – shrugging off challenges as he went – and then rifled a shot past John Ruddy. Where Modric had been slight and wiry, Dembele was tall and powerful. Yet with that physicality came a grace that is almost unparalleled in the Premier League – no other player can marry artistry and brutality quite like the 25-year-old. As a famous Italian journalist used to say, he can both sing and carry the cross. “Dembele is probably the best player on the ball I’ve ever seen,” said Jol. How unexpected it is, then, that the silky, cultured Dembele – remoulded from an attacking, creative role up front – should be at his most commanding when not in possession of the ball, but trying to win it back. Even from his very first appearance in midfield against Chelsea, it is his defensive qualities that have continually impressed most. Fierce in the tackle and with an intelligent awareness of danger, Dembele’s partnership with Brazilian destroyer Sandro, sidelined for the rest of the season, had become arguably the most indomitable and powerful in the division. It is in this respect that the Belgian is far superior to Modric. In the Croatian’s 36 games for Spurs last year, he attempted 56 tackles with 71% success. In just 22 appearances this year, Dembele has already engaged in 67 tackles with 82% success. The Belgian has also won more 50-50s (on the ground and in the air) and has been dribbled past just 12 times compared to Modric’s 32. Tottenham even concede fewer goals when Dembele is on the pitch. But what Modric lost in bite and tenacity he made up for in vision and creativity. Both players average a pass a minute, but a far higher percentage of the Croatian’s passes were forwards (39%) or in the final third (35%) compared to Dembele (22% and 25% respectively). Modric also created nine clear-cut chances (one every 357 minutes) compared to the Belgian’s two (one every 881 minutes). But it is with that in mind that Dembele’s inexperience in midfield must be noted. The Belgian is still a relative novice in his new role and it will take time for him to assume responsibility and develop the kind of understanding of the position, and confidence in his own abilities, possessed by Modric. Like the now Real Madrid midfielder, Dembele has struggled for goals and assists. The former Fulham star hasn’t scored in the league since his debut strike, and has contributed just three assists. Modric, the heart and soul of Tottenham under Harry Redknapp, has never scored or assisted more than four goals in a single season. For both players, the ability is undoubtedly there to be more influential where it counts. Modric’s ripsnorter against Manchester United for Madrid in the Champions League and Dembele’s thunderous drive against Lyon threw up one question: why can’t they do that more often? Modric, if Saturday’s screamer against Mallorca is anything to go by, is on the right track. But despite those shortcomings in front of goal, the importance of first Modric and now Dembele to Spurs is unquestionable – though the latter’s record is quite staggering. Spurs won 45% of matches in which Modric played (a figure diluted by managerial instability and Juande Ramos’ disastrous tenure), but got by without him, winning 52% of the matches the Croatian missed – though lost proportionally more games too. But Dembele is different. When he plays, Tottenham rarely lose. Of the 22 league games he has featured in, Spurs have suffered defeat just twice. The first was against Everton where he was subbed with Spurs still leading, the second was against Liverpool where he was shunted to the right of midfield. With Dembele, Spurs win 68% of the time and lose just 9%. Without him, they win 14% of their matches, and lose 57%. That record rather puts Gareth Bale’s 52% win rate in the shadows. Spurs have been accused of being a one-man team in recent weeks, a by-product of the form of Welshman, but if the club are reliant on one player above all others, then it is Dembele that Tottenham lean on. This entry was posted in Club news on 17/03/2013 by mirsinho.